Some business leaders don't have as much clarity about their goals as they could. We first help you get a good grasp on what top performance looks like for your organization. Then we help you get there. 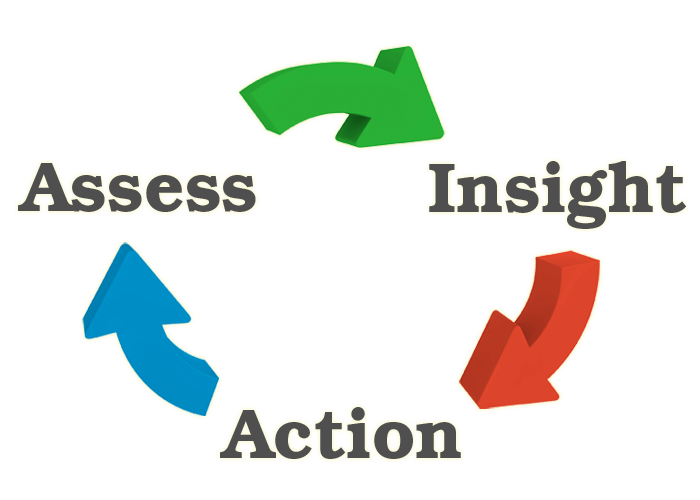 We use an Assess - Insight - Action cycle to help our clients. Assess: First we discern where you are, what you’ve tried in the past, what worked and what didn’t. We have to have a good grasp of where you are, so we can move in a positive direction. Insight: Second we organize the results of the assessments and arrive at a plan to keep you on-target. If we know where you’ve been … and have a good idea of where you’re going … the insights are better. The strategic plan is sound.